installations and repairs of commercial and residential garage doors in Richmond Hill ,we do garage doors openers , springs ,cable and drum repair and replacements. When it comes time to replace you Richmond Hill garage door you will be pleased to know that you can rely on the team at Express Garage Doors to give you the very best garage door installation. With many years in the business, we work diligently to give our customers the very best garage doors available. We use nothing but the most durable materials, while making sure that all of our garage door installations make your home look incredible. The springs in your Richmond Hill garage door play a very important role in the operation of your garage door. When the garage door spring installation is performed correctly you will be able to enjoy many years of seamless garage door opening and closing. However, the springs are very powerful and if you should not attempt to replace them alone. Much like garage door springs, the garage door cable installation needs to be done with extreme care if you want the best performance out of your garage door. Our Richmond Hill team of garage door cable installation experts can repair or upgrade your garage door so that you no longer have any problems with its operation. Garage door repairs can be quite straightforward and affordable if the problem is identified early enough. With so much weight and power involved between the door and the springs, the misalignment of any component can cause significant damage if left alone. We can come and inspect your garage door and spot any problems before they develop, saving you time, money and frustration. 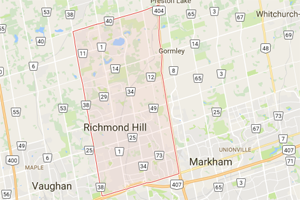 Richmond Hill Garage door is your ideal Source for Commercial Overhead Door & Opener Repairs & Maintenance.